Here at Andy Mohr Toyota, we have one of the most well-respected tire centers around Avon, Indianapolis, and Plainfield, IN. Because of that, we’re constantly getting tire questions from our many customers. So, with that in mind, we decided to create this library of frequently asked tire pressure questions. We encourage you to read through them, and then get in touch with us to set up your tire appointment! For most Toyota tires, the recommended pressure is typically between 30 and 35 PSI—that’s pounds per square inch. However, it can vary by the manufacturer, the type of tire, and the type of vehicle, so you should check the optimum or recommended tire pressure for yourself. You’ll often find it right in the doorjamb. What to do when the tire pressure light comes on? This one is a no brainer… As soon as your tire pressure light comes on, you should schedule a tire-fill appointment with our Andy Mohr Toyota team. You can find details on how to do that below. Why does proper tire pressure matter? Performance:If your tires aren’t filled the way they ought to be, then your car won’t run well. Efficiency:Low tires can cause suboptimal fuel economy ratings, so you should fill them up. Safety:During the typical drive, your tires are rotating across the pavement at thousands of rotations per minute…minute after minute, mile after mile. With that image firmly planted in your head, would you feel safe driving with improperly inflated tires? We really didn’t think so. Luckily, checking your tire pressure is pretty simple. Here’s a step-by-step process on how to do it now. Remove the valve cap from one of the tires. Cover the valve stem with the PSI gauge. Push the gauge down until the hissing sound stops. 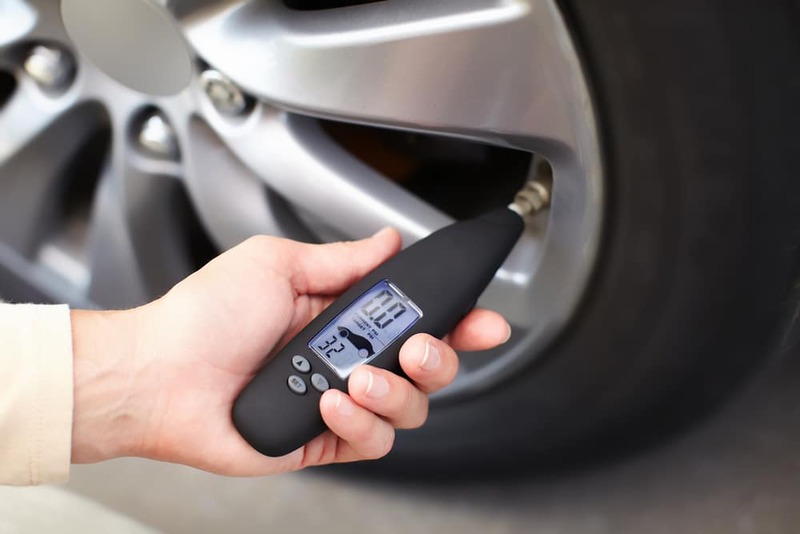 At this point, your tire pressure gauge will provide a reading—the air pressure will push a small bar out from the bottom of the gauge, and you’ll be able to see a PSI (pounds per square inch). Of course, if you don’t own a tire pressure gauge, or if you’re uncomfortable, we’ll always do it for you. Although your car’s TPMS (Tire Pressure Monitoring System) might seem like it runs on black magic, it’s actually quite simple. When a wheel’s tire pressure is low, it rolls at a slightly (or greatly) different speed than the other wheels. This information is picked up by the sensor, and then transmitted to the warning light on your dashboard. 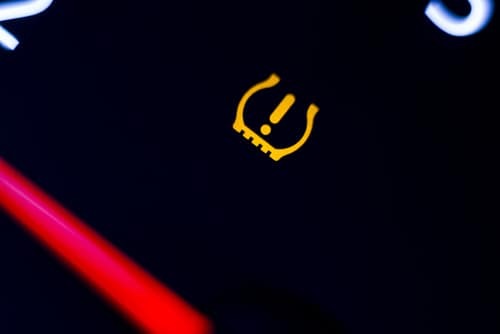 If your tire pressure indicator lights up, schedule an appointment with us now. Contact us today at Andy Mohr Toyota for comprehensive tire care! Regardless of whether you live in Plainfield, Indianapolis, or Avon, IN, our Andy Mohr Toyota team can get your tire pressure back to where it should be in practically no time. Set up an appointment now. Simply call us on the phone, fill out a form on our website, or stop by our Service Center today. Thanks!